I have had so much fun exercising, dancing and performing with my schools (P.S.E) dance class. Last performance (which was my first!!) we did Trolls. I loved all the music, colors and the epic dance choreography by Aiden, Tabbi, Cho and Hanna. In the picture above you see us posing in our Panda dance team outfits. From far left: Hannah, Co-captain Tabbi, Dance Captain Aiden, Cho, Embla (me) and behind is Snudge. 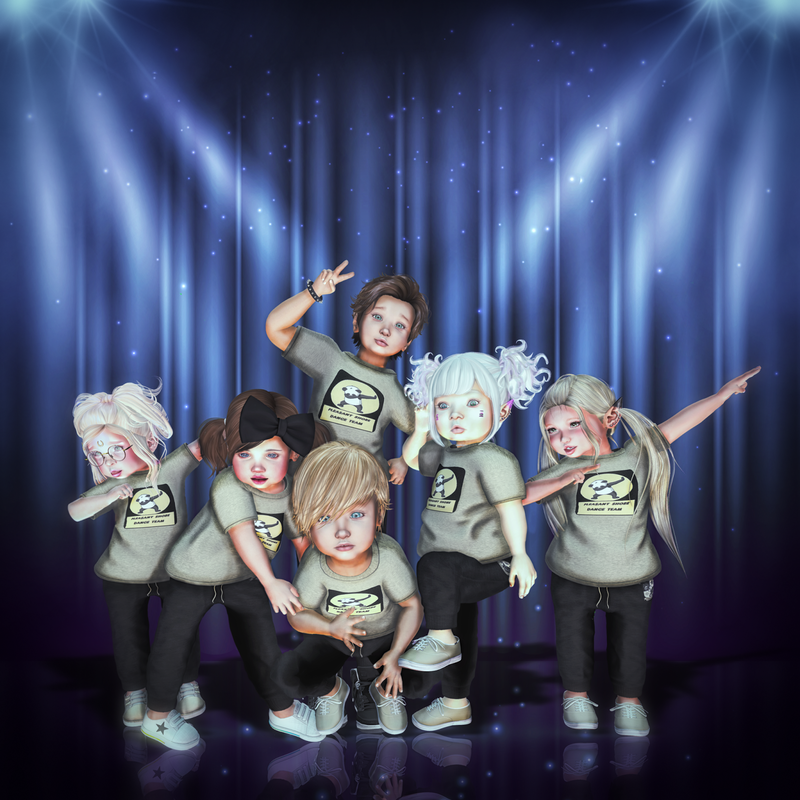 We will do a last performance of the dance choreographed by Cho, True Colors, at the Les Fest SL 4 June 11.20 am SLT. I'm so excited and hope many will come see us dance. And I cant wait to see what our next dance project will be, I also hope to see new faces joining class. Being part of a team is awesome!